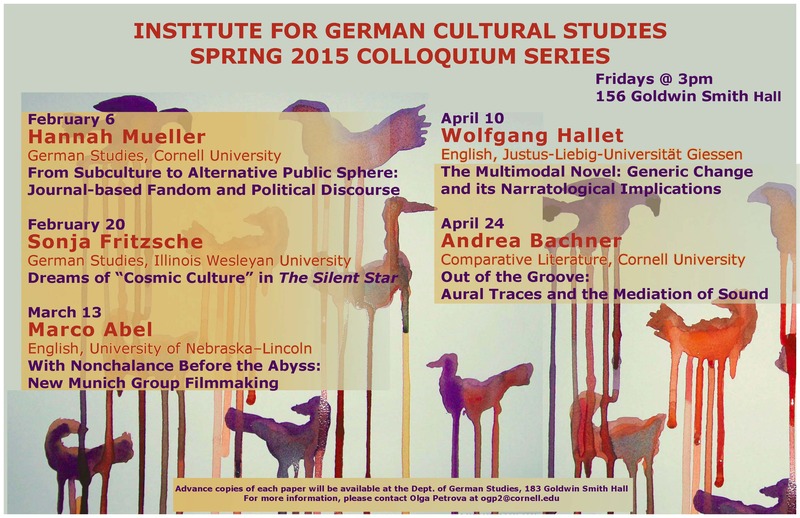 Friday, February 6, I’m presenting a paper on transformative fandom and the public sphere at the colloquium of the Institute for German Cultural Studies @ Cornell. This entry was posted in Uncategorized and tagged colloquium, fans, public sphere. Bookmark the permalink.